Ribble were an enthusiastic buyer of underfloor single deckers when they first became available at the beginning of the 1950s. The dominant purchase was the Royal Tiger; Ribble / Standerwick bought nearly 200 coaches with this chassis and there were also 110 saloons delivered in 1951/2. 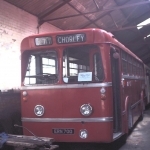 These were sturdily built with Leyland’s own rather square body and were used widely around the entire Ribble area. They had a full service life being withdrawn in the mid to late 1960s. Our 377 was new in October 1952 to Carlisle depot. It moved around quite a lot in its life, its longest sojourn being five years at Wigan. 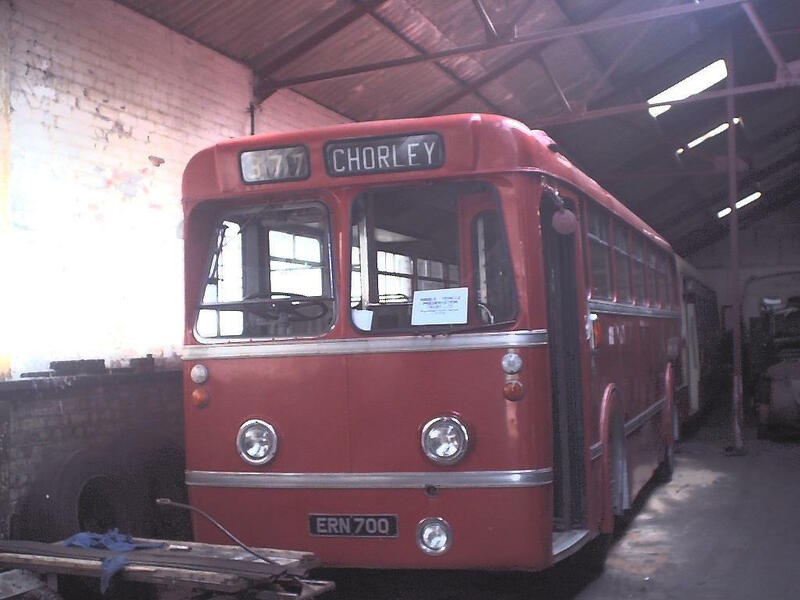 It was taken out of service in 1965 from Skerton, Lancaster, depot but instead of being sold to a dealer it was chosen for conversion to meet the needs of the Lake District Cheshire Home near Windermere. 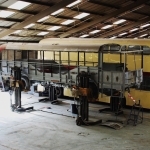 The work, which was carried out by Ribble at Frenchwood, involved removing most of the seats to provide wheelchair space and the fitting of a tail lift. It was used by the Home for almost 20 years until purchased by RVPT in 1985. It was in excellent condition having been regularly serviced by Ribble and kept undercover at the Home. Having being used for a period as a “runabout” for use at our rallies etc it was then put aside for full scale restoration. 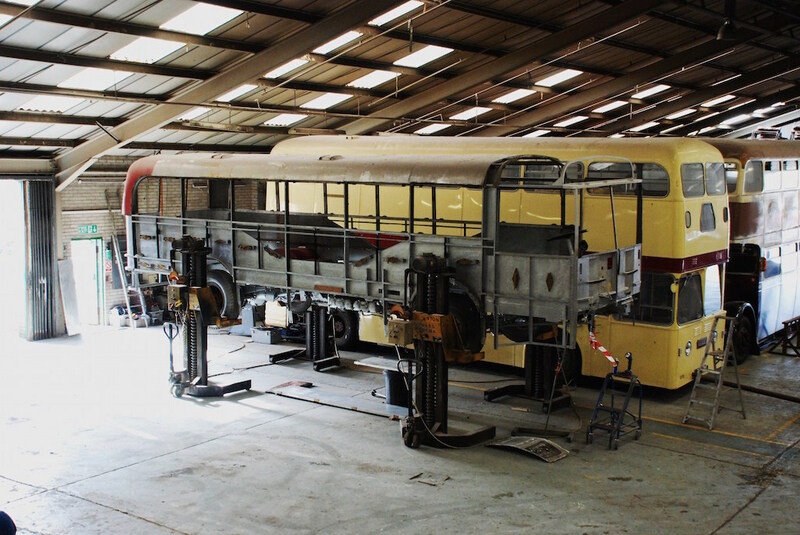 This work has been proceeding gradually for some time and is now approaching the stage where the rear end will be rebuilt back to original configuration. Regular updates will be given on the blog as work progresses.